Lakeland Limo Services is the perfect choice for a night of fine dining in the Lakeland area. Our luxury limo service will make your night of elegance complete, and will add the class, comfort, and convenience that you deserve on a special occasion. Enjoy fine dining with VIP elegance at your favorite destination, whether it's the Texas Cattle Company or Harry's Seafood or Ocean Prime Tampa, or anything in between. Make the evening sublime while traveling in elegance, style, and comfort with exquisite limo service in Lakeland, FL. Our limos are pure splendor. The leather interiors are so comfortable and inviting, and the sound system will add just the touch of romance and solitude that you are looking for. You will enjoy all the latest technology in our varied fleet, all you have to do is choose what is right for you. 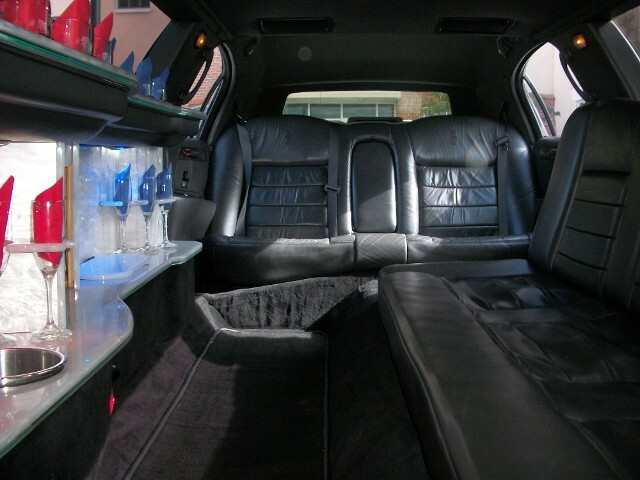 We have standard limos, super stretch limos, stretch SUV's, and even a party bus. See the full selection here so you get your Lakeland limousine booked today! So whether it is just you and your spouse, or a large group to celebrate a special occasion, we have just what you are looking for. Maybe your entire family is in town for a graduation or wedding, make your dining experience extra special. And it will be impeccably detailed and a model of perfection and class with our Lakeland limo rentals. Our chauffeurs are among the most experienced in the area, and are trusted professionals. On a night of fine dining you will find your driver to be polite, respectful, and very mindful of your privacy. Our drivers are always right on time, as we know the importance of that reservation. So whether your dining excursion is for business or romance, renting a luxury limo in Lakeland will add just the right touch for your evening. Lakeland Limo Services covers the greater Lakeland, Bartow, Brandon, Winter Haven, Haines City, Tampa, and surrounding areas. Call us at 863-201-4470 to reserve your limousine services in Lakeland for an evening of elegance. We can't wait to pamper and spoil you!